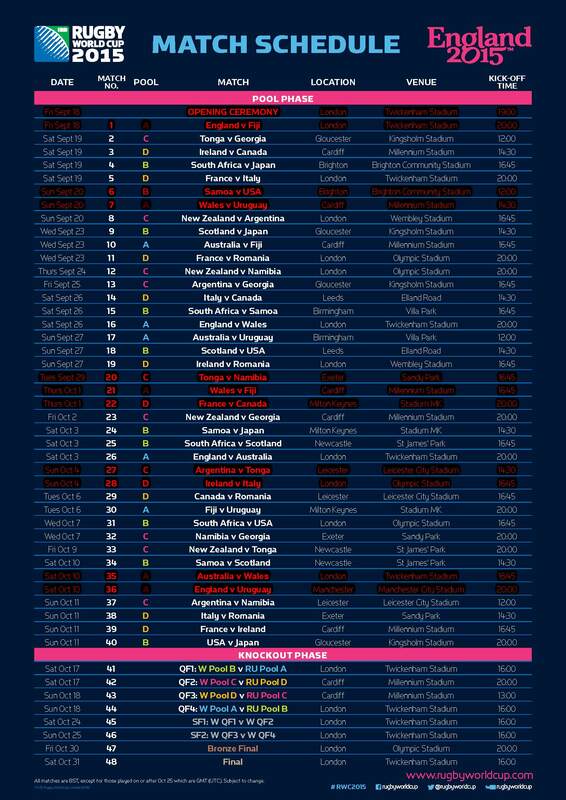 Below is the full Rugby World Cup Schedule. Sadly we are unable to screen the games that are highlighted in red due to previously booked events. We also understand not all games will be popular so we will only put down the big screen and projector as and when ANY individuals arrive … so … if you do pop in please be sure to let the staff know you are here to watch the Rugby. For the same reasons the Function Bar will only be open for certain games but if you are feeling hungry or thirsty please pop up to the Reception or Main Bar (less than 15 meters away).